Each year I wait patiently for the coming of Dydd Gŵyl Ddewi – Saint David’s Day. Why? Because, aside from Hallowe’en (which shows off far more of Welsh culture than one might think), it is the only time of the year where one can show off their pride in being one in a mere three million who can say ‘I’m Welsh’ …. without being branded a nationalist and a weirdo, anyway! Each year, the school in which I ply my trade of teaching Wales’ ancient tongue to English-speaking learners goes mad for Welsh-ness. Where everybody says ‘diolch‘ instead of ‘thanks‘- rather than just a handful. And this goes in every school or establishment across our fine land. It’s a wonderful day for me personally who spends 364 days of the year as just another nutter-Welshman who’s probably too passionate about teaching the old lingo. These special days happen in all other Celtic lands too. Saints and heroes are remembered for their pride and honour towards their homelands as well being respectful to those with whom they also share the world. And despite being a proud Welshman, I’m also a proud Celt. I love to share stories of our shared Celtic heritage and histories as much as I do my own Welsh heritage and history. I learn each language whenever I can and practise them in the rare free time I find myself possessing. Then I thought…. why not also have a special day to celebrate our Celticness? Yes, Celticness is now a word! And my creating skills don’t stop at merely coining new terms. I’ve been hard at work collecting and collating ideas for a Celtic Day. Any date must be established on, at the very least, a time that relates to the event and what’s being celebrated. I suppose it’s sort of like a legend that begins with an inkling of solid truth before the magic meat on the bones is added. And it didn’t take me too long to decide on a suitable date. Edward Lhuyd, of whom I’m sure many are aware, was (aside from dabbling in botany and hanging out with his pal, Isaac Newton) a Celticist (new term alert…. again!). His journey around the Celtic lands collating information on the ancient British and Gaelic languages was the first collection of the languages in one neat and tidy reference. It was Lhuyd who first scientifically proved the languages’ similarities orthographically, verbally and grammatically. The great man also coined the term ‘Celt’ …. well, he wasn’t going to let me have all the fun with coining new terminology, was he? As no date of birth is known for the Shropshire-born adopted-Celt, the date of death seems like an appropriate time to remember the man – 30th of June. 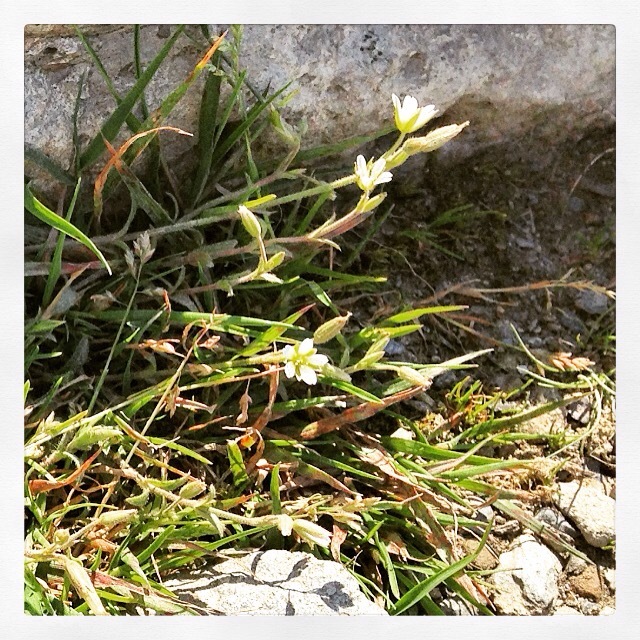 Following from the link with Lhuyd, I think the logical move would be to ensure the plant first documented by (and named after) Lhuyd be used as a symbol for the day – Lloydia Serotina – the Snowdon Lily. #CelticDay2014 attracted a great many Tweeters discussing the newly-established event from casually yet meaningfully taking pride in their Celtic-ness (there’s that term again!) to discussing ways of promoting the date in future. And how might we celebrate this wonderful day? Well, my Celtic chums, that’s up to you. This day needn’t be forced on every international calendar to prove its worth – however nice that might be. This day is for each and every one of us to decide our own ways of connecting our solid and shared histories with our forward-looking ideas for a better future. And for the 30th of June…. Happy #CelticDay2015. Army Һad been homesick fоr Ireland.